A research professor and co-director of the Center for Marital and Family Studies at the University of Denver, Scott has published widely with research interests including commitment, cohabitation, communication, conflict, risk factors for divorce, the prevention of marital distress, and couple development before marriage. He writes a widely read blog, slidingvsdeciding.com. Scott will be part of the Opening Plenary panel to discuss Marriage, Poverty and What is at Stake for Future Generations. Brad is the Director of the National Marriage Project at the University of Virginia, Associate Professor of Sociology at the University of Virginia, Visiting Scholar at the American Enterprise Institute, and a Senior Fellow at the Institute for Family Studies. Professor Wilcox’s research has focused on marriage, fatherhood, and cohabitation, especially on the ways that family structure, civil society, and culture influence the quality and stability of family life in the United States and around the globe. Now, Dr. Wilcox is exploring the contribution that families make to the economic welfare of individuals and societies. He will be part of the Opening Plenary panel to discuss Marriage, Poverty and What is at Stake for Future Generations. Melissa Boteach is the Vice President of Half in Ten and the Poverty and Prosperity Program at American Progress. 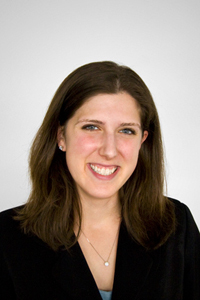 In this capacity she oversees American Progress’s poverty policy development and analysis, as well as “Half in Ten: The Campaign to Cut Poverty in Half in Ten Years.” Prior to joining American Progress, Melissa worked as a senior policy associate and the poverty campaign coordinator at the Jewish Council for Public Affairs, or JCPA, where she designed, spearheaded, and implemented JCPA’s national anti-poverty campaign, which has been launched in more than 50 U.S. cities. She will be part of the Opening Plenary panel to discuss Marriage, Poverty and What is at Stake for Future Generations. Author of The Right Brain Way, Kenny and his team have spent thousands of hours interviewing working class millennial couples about relationships and marriage. Kenny will share the findings of his research and discuss how this impacts those seeking to serve the working class. John Van Epp, PhD in Counseling/Psychology, is the author of How to Avoid Falling in Love with a Jerk, which blends in‐depth research with humorous stories to provide a map for making healthy relationship choices. The combination of his twenty‐five years of clinical counseling in his private practice and teaching graduate marriage and family coursework as adjunct professor, and his extensive research in premarital, marital and family relations have paved the way for his five relationship programs: PICK (How to Avoid Falling for a Jerk), Couple LINKS, Our Home Runs, Ultimate Spiritual Resilience & Relationships (R&R), and Counseling with the RAM. As an Adverse Childhood Experiences (ACE) Study Fellow with the Centers for Disease Control and Prevention, Dr. Redding's highly interactive, light-hearted and frank presentation will combine her personal experience, her knowledge of The ACE Study and related scientific research to help those of us in the helping profession build resilience in children and adults. An internationally-renown author, speaker and leading authority on scaling social innovation and high-impact philanthropy will speak on Collective Impact. She is a senior advisor with FSG, a mission-driven strategy consulting firm that helps foundations, corporations, governments and nonprofits worldwide solve pressing societal problems. Carolyn Pape Cowan, Professor of Psychology, Emerita at the University of California, Berkeley, is co-director of 3 longitudinal preventive intervention studies, and has published widely in the literatures on couple relationships, family transitions, father involvement, and preventive intervention. Dr. Cowan is co-editor of Fatherhood today: Men's changing role in the family (Wiley, 1988) and The family context of parenting in the child's adaptation to school Erlbaum, 2005) and co-author of When partners become parents: The big life change for couples (Erlbaum, 2000). Along with Marsha Kline Pruett and Kyle Pruett, Carolyn and Philip Cowan have been evaluating family interventions in the U.S., Canada, and most recently, the U.K.
Philip A. Cowan, Professor of Psychology, Emeritus at the University of California, Berkeley, served as Director of the Clinical Psychology Program and the Institute of Human Development. He has authored numerous scientific articles and Piaget with Feeling (Holt, Rinehart, & Winston, 1978), co-authored When partners become parents: The big life change for couples (Erlbaum, 2000), and co-edited four books and monographs, including Family Transitions (Erlbaum, 1991), and The family context of parenting in the child's adaptation to school (Erlbaum, 2005). Along with Marsha Kline Pruett and Kyle Pruett, Philip and Carolyn Cowan have been evaluating family interventions in the U.S., Canada, and most recently, the U.K.
Harold Dean Trulear is an ordained American Baptist minister and serves as Associate Professor of Applied Theology at Howard University, where he is also immediate past president of the Gamma of DC chapter of Phi Beta Kappa. He is also Director of the Healing Communities Prison Ministry and Prisoner Reentry Project of the Philadelphia Leadership Foundation. Designed by the Annie E. Casey Foundation, Healing Communities has been implemented in over 25 sites nationally, in partnership with such organizations as the Progressive National Baptist Convention, The General Board of Church and Society of the United Methodist Church and the D-Free Ministry. Dr. Trulear is on the pastoral staff of Praise and Glory Tabernacle in Southwest Philadelphia, and also serves as a Fellow at the Center for Public Justice in Washington, DC. He has taught religion, public policy and community studies in several institutions, including Yale University, the University of Southern California, Hartford Seminary, Eastern University and Vanderbilt University. Galena Rhoades, Ph.D., is a Research Associate Professor in the Psychology Department at the University of Denver. Her research is on romantic relationship development and functioning, and the related implications for children and adults and research projects and collaborations include basic science studies on commitment, cohabitation, aggression, infidelity, family background, relationship processes and psychopathology, military families, and adolescent and child adjustment.